Are you interested in starting a website to promote your business but don’t know where to begin? We’ve broken the process down into six easy to understand steps. Every website first needs a domain name. The domain name is the address of your website. For example, Lamaze International’s is www.lamaze.org. A best practice is to choose a name that is the same as your business. If your business’ name is Labor Your Way, you might want your domain name to be www.laboryourway.com. A web host is a company that will host and provide access to your website (if your website were a brick-and-mortar business, the web host would be the equivalent of the storefront you would rent). You sign up for an account with a web host, and they host your website on a computer they have connected to the internet. This makes your website accessible to anyone online. Some web hosts are free, but most cost a fixed monthly fee. It is important to have a well-designed website that is easy to navigate. How many times have you come across one that looks poorly designed? Sites like those can lead visitors to question the credibility of the business and look elsewhere for information. If you don’t have prior website design experience, it is usually worth the cost of hiring a professional. A proficient web designer can create an attractive site that brands your business while enticing customers. If you’re on a tight budget and new to website design and coding, an HTML editor such as Dreamweaver can be beneficial. Dreamweaver allows you to design your website and then creates HTML code for you. To save money, you may want to consider using a free HTML editor. You can also explore online website design platforms, such as WIX or Word Press. As you create your website pages, test them to make sure everything is working as it should: all the links go to the proper places, the images are clear, etc. A browser is a tool that allows you to browse the Internet. Chrome, Safari, Internet Explorer and Firefox are a few of the most popular. You will want to see how your website looks in all of the major browsers. Sometimes, a site can look fine in one, but distorted in another. Now that your site is up and running, start driving traffic to it. A simple way to attract visitors is to trade links with another site. This is very similar to how magazines trade advertising space. You offer to add the link of a website to your own and the other website posts a link to yours. You can also consider buying keywords. When someone types a keyword into a search engine, an ad for your website appears on the search results page. Google Ads is one of the most popular keyword programs. Once your site is up and attracting visitors, share your success story with us! E-mail us at info@lamaze.org. Are you looking to promote your classes or services but don’t have a large budget? Consider starting your own blog. It’s a simple, no-cost, effective way to demonstrate your knowledge while promoting healthy birth practices to a sizable audience. A blog can help you attract new business while providing your expertise to those with questions. Blogs can range in style and tone. Some feature people writing their innermost thoughts similar to journal entries. Others are places for people to share recipes, make political commentary, etc. With a blog, you can write about and discuss nearly anything under the sun. Why Should I Use a Blog? As more people rely on the internet for answers to their pregnancy, birth and parenting questions, your blog can be the source they turn to for trusted information. It’s simple – There is a variety of websites that can help you start your own blog. You don’t need any technical experience and most blog sites provide tools you can use to customize your blog. It’s free – You can start and maintain your blog at no cost. It has reach – More than 57 million adult Americans consider themselves to be blog readers according to research by the Pew Internet & American Life Project. This audience includes expectant parents, new grandparents, childbirth educators, health care professionals and more. The engaging, relevant information you post on your blog can connect with these audiences and help your professional reputation grow at the same time. How Should I Use a Blog? People are constantly scouring the Internet in search of reliable, timely, well-written information. As a Lamaze educator, you have a wealth of solid knowledge others will be eager to read. Share your wisdom and experience with others. Write entries on what parents can expect during pregnancy, birth and postpartum. Provide pregnancy exercise tips, communicate the benefits of the Lamaze Six Healthy Birth Practices and more. Each entry will build your credibility as a trusted expert in the field. Remember to update your blog on a regular basis (two or three times a week is a healthy goal). A long period between posts can lead readers to believe the content is stale or the blog is no longer active. Many blogs feature a page for an author biography. This “About Me Page” is where you can list out your credentials, promote your business and provide contact information. There are many sites to help you begin building your blog for free. LiveJournal, Blogger, and Word Press are widely popular sites geared towards helping first-time bloggers get started. Once you’re blog is up and running, remember to add a link to it to your Lamaze member profile. And don’t be shy—we’d love to see it! Send your blog’s address to info@lamaze.org. It is an opinion piece, often published in newspapers, and more recently in online publications. Op-eds are most often published by the author’s local newspaper and can be about everything from major news stories to local issues. Op-eds typically range from 500 to 750 words in length. Please note that an op-ed is not a letter to the editor. Why Should I Write One? An op-ed is an effective way to demonstrate your expertise to a local audience. At no cost, you can write an op-ed that informs readers about an aspect of childbirth while also positioning yourself as a subject matter expert. Your op-ed can have your name, credentials and business’ name in the byline, thereby giving you and your business exposure. How Can You Write an Effective Op-ed? Choose a topic that is likely to be of interest to readers. VBAC, labor induction, cesarean surgery, medically unnecessary interventions and more can be solid topics that will capture your readers’ interest. Next, build out your argument with facts. Make sure all of your supporting reasons are based on facts that can be verified by the newspaper’s or online media outlet’s editorial staff. If you craft a strong argument, readers will easily grasp your point in the first few lines. Remember: less is more. People have short attention spans and no one wants to read 900 words of something that continually repeats itself. With an op-ed, strike while the topic is hot. Has there recently been a national news story on maternal mortality? A new report out on the climbing cesarean surgery rate? If so, this is the time to submit your op-ed to your local newspaper. The more relevant your piece is to current events, the more likely it is to catch the newspaper editor’s eye. Visit the publication’s website and carefully review the guidelines for submission and you can likely submit your piece electronically. If your op-ed is not picked up, don’t worry. Try submitting it to various online news sources or post it on your blog. It’s not guaranteed that every op-ed will get published, so if the first one doesn’t make it to print, try again. Media coverage is an effective way to build your reputation as an expert on birth, breastfeeding, childbirth education, etc. Every time your name or picture is highlighted in the media, you build your brand and potentially can attract new students. To attract media coverage, you must have something newsworthy that a publication, radio show or television station would be interested in reporting. This could be a milestone such as holding your 500th class, publishing a book or offering a cutting-edge new type of class. If you own your own business, you may be a perfect fit for a story on local entrepreneurs. Certain calendar events can help your message feel more relevant. Pitch a story that relates to Mothers’ Day, Labor Day, World Breastfeeding Day, Midwives’ Day, National Patient Safety Week or another event where your story is a logical fit. Send a press release (see Lamaze’s tip sheet on Writing an Effective Press Release) to your local media outlets. If you noticed they recently featured a story on births, childbirth education or a related topic, get in touch and ask if they intend to do any follow-up pieces and offer to be an expert interviewee. Local media is probably your best bet for media coverage. And that’s perfect because it’s where your prospective students are most likely to be. So give your story a local spin. Born and raised there? Work that angle. Had your business on Main Street for years? Put that front and-center. Show reporters why people in your community should care. This seems obvious, but you’d be surprised how many people get it wrong: Don’t pitch a story idea about your childbirth education classes to the sports desk editor or a reporter covering local politics. Do your homework into which reporters cover what beats and then reach out to them. In most local papers, reporters list their e-mail addresses in their bylines. Also check the media outlet’s website for a list of contacts. Find the reporter that covers topics most closely aligned to yours and make contact. Be persistent, but don’t pester a journalist. If they aren’t interested, revise your pitch and try again in a few months. Even small towns tend to have several local newspapers, radio stations and television news programs, meaning there should be multiple journalists you can try. Submit an application to become a member of your local speakers bureau. If accepted, the media will be seeking you out, enabling you to spread your message with minimal legwork. Do you want to write a letter to the editor and ensure it has the best chance of being published? Keep it short, keep it focused and keep it within the bounds of good taste. The bigger the circulation of the publication to which you are submitting, the more competition you face in having your letter selected. The letters editor may have hundreds of choices in each day’s mailbag, arriving by ordinary post or e-mail. 1. Before writing your letter, review the publication’s policy and guidelines for letters to the editor. It is frequently available on the publication’s Website under the Opinion section. 2. Write and submit your letter as quickly as possible, preferably the same day that the article runs. 3. Submit letters by e-mail whenever possible. (Look for the e-mail address on the newspaper's website). 4. Put your full first and last name, address, phone and/or fax numbers (day and evening) and your e-mail address at the top of the letter. Most publications want to call the writer to confirm authenticity. 5. Cut to the chase. You don't need a long, rambling introduction to your subject. Just focus on one or two key points that you want to make and then get out. Aim for no more than 250 words, and be sure to stay under the paper's word limit. 6. If you refer to a previously published letter, a news story or column, identify it by its headline and the date it was published. This enables the editor to quickly check the original item to verify any references you have made to it (i.e. quotes, statistics). 7. Write short, punchy sentences, grouped in two or three paragraphs. 8. If you are responding to a columnist’s views (or any other opinion piece), don’t launch a personal attack on the columnist – attack his/her views. Offer a countervailing opinion. Try to advance the debate so that other readers might join in the discussion in subsequent letters. 9. If you have read a news story or feature article that relates to something you've experienced, respond by putting your own personal twist on the subject. 10. Don’t send copies of your letter to a whole host of publications. Make it an original to the publication you really want to publish it. If you don't get a confirmation call within a week to 10 days, then try submitting it elsewhere. Hospitals and health care providers can be helpful partners as you grow your business and reputation. While these professionals can have tight schedules, work to grab a 15- or 30-minute appointment with them. Be sure you know what your goal is prior to the meeting. Do you want them to have your brochures in waiting rooms? Refer prospective students? Lend you a space to teach an upcoming class? Remember, this is a relationship you want to cultivate. Don’t ask for too much up front. Simply introduce yourself and let them know how your services can not only help their patients, but also help them expand their services. From there, communicate what your goal is and discuss how both of you could work together to increase positive birth outcomes for families in your community. Lamaze reinforces your relationships with your patients, helping them to better understand what to expect during pregnancy and childbirth, providing information to help answer their questions and, in the end, facilitate a process where patients are satisfied and they understand the medical care they receive. Lamaze preparation is grounded in a substantial and long-standing body of evidence based on what produces optimal outcomes for both mothers and babies. Lamaze is known for producing patients who are happy with their birth experience. Lamaze helps your patients become better educated about pregnancy and childbirth by providing sound information in easy-to-understand language. Your support of Lamaze can make it easier to successfully work with your patients to achieve healthy and satisfying birth outcomes. If they are receptive, follow-up by sending brochures or business cards they can give patients. Be sure they have a copy of your most recent class schedule. If they are not receptive, don’t despair. Try re-tooling your approach and reaching out to a different hospital or health care provider. Make sure you highlight how your classes and expertise will aid expectant parents as well as support the work of the health care professional. People always want to know what you can do for them. Make it clear that you’re there to help. 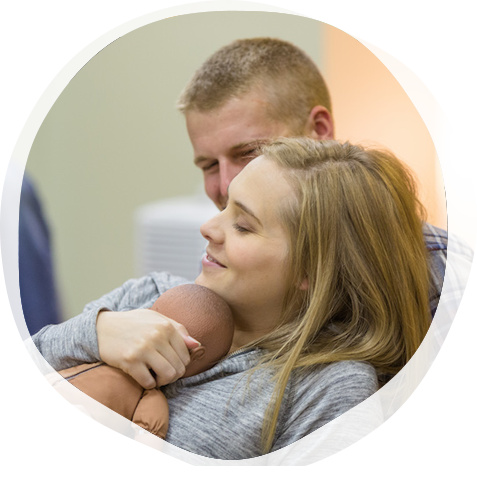 Universities that offer nursing programs can be an ideal place to spread the word about Lamaze’s Six Healthy Birth Practices. Your knowledge can be helpful to students and professors alike who can benefit from your “front-line” vantage point. What are your goals for working with a university? Offering to speak to classes is a good place to start. As a speaker, you can introduce and inform the class about Lamaze’s approaches to pregnancy and birth as well as the basis of evidence-based care. Contact information for a university’s various departments is readily available on most university’s Websites. Get in touch with the departments where you think your skills would be the best fit. Consider psychology, nursing, child development, women’s studies and others. Research which professors are experts in your topic area and reach out to them. Is there one who teaches labor and delivery classes? Teenage psychology? Holistic treatments? Do not reach out to the neurosurgeon if there is no logical fit between what you have to offer and what he/she teaches. Once you’ve decided who you will reach out to, send them a letter of introduction, your resume, copies of any articles you’ve written and any other relevant materials. This is your opportunity to demonstrate your expertise and knowledge so make sure your qualifications shine! To get started, make a list of several topics that can be covered in one-hour increments. Speak to nursing and medical professors about providing a guest lecture on one of the topics from your list. You can offer their students a unique opportunity to learn about childbirth while bringing your years of experience of working with expectant parents. You also may want to bring handouts that explain Lamaze’s Healthy Birth Practices and consider printing copies of some of the Lamaze infographics. As medical school curricula continue to emphasize strengthening patient communications, your presentation could be very relevant. Think about topics that classes are unlikely to cover, such as: diffusing the fears of first-time parents, simplifying birth for pregnant teenagers and benefits of a natural birth. Keep in mind that professors have syllabi and course schedules. You may not be able to lecture during the current semester if it doesn’t fit into the course schedule. If this happens, ask about how you can work together in the next semester. Press releases are a useful way to inform your clients, prospective clients, colleagues and the community of your childbirth classes. They are meant to capture the attention of journalists and news sources and are designed to be published on the Internet, through e-mail and via online newsfeeds. Create an attention grabbing headline to get your readers’ attention. The headline and introductory paragraph should tell the story, while the remainder of the press release provides the details. Press releases are meant to inform an audience, not to sell products. Evaluate the “who,” “what,” “where,” “when,” “why” and “how.” Don’t forget to provide useful information about your business, event or service—without sounding like a sales pitch. Press releases are designed to be picked up by online media outlets (e.g. blogs, websites, online newsletters) without editing the text. Express your thoughts in a simple, clear and to the point manner to increase your press release’s media exposure. Your audience’s interest often determines your press release’s exposure. A topic or news story that you find exciting may not be seen as such by the media. Consider your news topics carefully—focusing on what’s new and unique. Ask yourself, “Why should the audience care? How will they benefit in learning about this?” Most importantly, make sure the news is timely. Nobody wants to hear about something that’s well-known or has already happened. Relate the cold, hard facts. Don’t embellish, and don’t “slant” your story. If the press release sounds too good to be true, then it probably is. The media is skeptical, so be prepared for members of your audience to research your statements. Speak plainly and openly. Avoid using clichés, as they weaken your message. Clichés to avoid include: “cut to the chase,” “without a doubt,” “know full well,” “the nick of time” and more. Do not overuse adjectives. If a story is attention-grabbing or unique, the news will speak for itself. An effective press release caters to all audiences. To reach prospective students, write about your childbirth classes in language the average eighth-grader would understand. Be specific! Make sure that someone who isn’t familiar about childbirth terms can understand your message. Finish with a brief paragraph describing your business (or job description), products, clients and services. Boilerplates often include a short history, your credentials and the overall mission statement.